Building Land Building plot, surface of 500m², frontage 20m, located in Teneur, 3 km fron Anvin. Planning permission accepted. Building Land 0.33 acres building plot, located in the ternoise valley, 10 km from Hesdin and 15 km from Saint Pol, Frontage 18 m. On a slope, with trees. Planning permission accepted. Building Land Building plot, surface of 570m², frontage 25m, located in Pierremont, 8 km from Saint Pol. Planning permission accepted. Building Land 875 sqm building plot located in Monchy Cayeux. Planning permission accepted. Weekend Retreat Pretty semi detached chalet along the Canche river made up of a 20m² cabin with living room, a small outbuilding which is used as a kitchen and a second one for the shower room and toilet. 10 mn only from Montreuil, ideal for weekends ! Building Land 960 sqm building plot located in Canche valley between Hesdin and Frevent. 20 m frontage, ready for construction, mains drainage. Building Land 908m² of building space, located in Anvin. 18m frontage, planning permission accepted. Chalet & Lake Ideal for fishing fans! Small chalet, perfect for weekend trips. Built on 1387m² of land, inclusive of part of the adjacent lake. Full renovation project for this house situated in a very quiet position in the country side, with superb views over the marshland. Fenced garden of 1144 m². Nice Chalet Property Nice wooden chalet set in a quiet area of a nice village between Montreuil sur mer and Beaurainville. It comprises main room with open kitchen, shower room with wc, small mezanine, plot of land of 650 m². It has planning permission accepted. 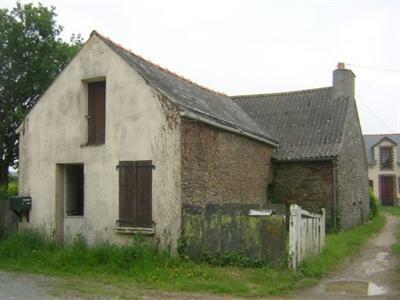 House for Renovation Small brick house for renovation, set on a beautiful land of 1140sqm, located on a dead-end road in a village with shops of the Canche Valley. It comprises of 3 rooms and a loft to convert. Small outbuilding. 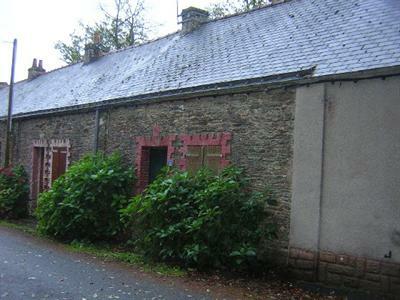 This house / villa (old house) , with a land size of 300 m² (about 0,07 acres) contains 4 rooms and 1 toilet. This house / villa contains 4 rooms including 1 bedroom. Others : fireplace.